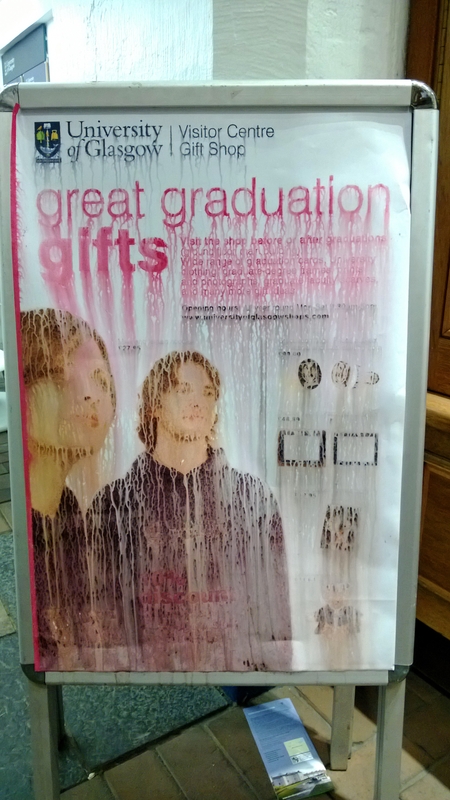 This is what happens when you leave an unlaminated poster out in the rain. This entry was posted in 2013, Glasgow, June, Photos, Scotland, University of Glasgow and tagged 2013, 365 Photos, A Board, Glasgow, Glasgow University, Ink, June, June 2013, Mess, Rain, Scotland, University of Glasgow, Visitor Centre, Work. Bookmark the permalink.